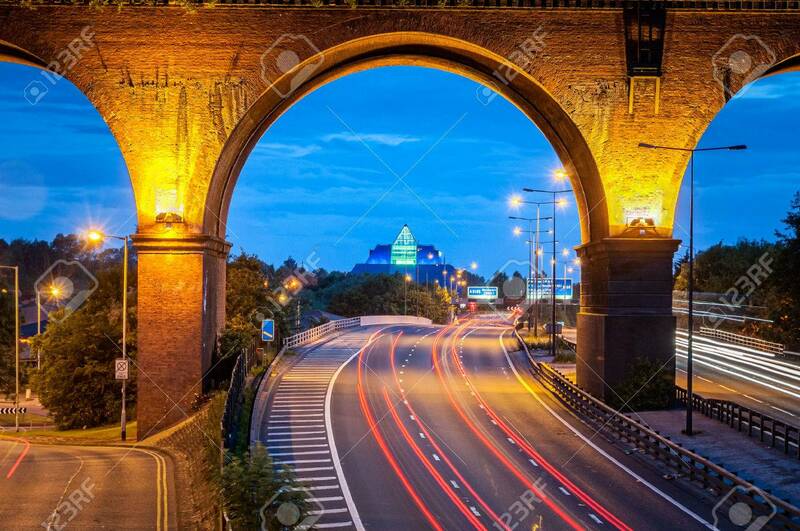 Railway Viaduct Crossing Over M60 Motorway Near Manchester, UK... Stock Photo, Picture And Royalty Free Image. Image 37933783. Stock Photo - Railway viaduct crossing over M60 motorway near Manchester, UK. Tail lights of cars leaving trail passing under the bridge. Railway viaduct crossing over M60 motorway near Manchester, UK. Tail lights of cars leaving trail passing under the bridge.